My mom is, always was, and always will be my favorite chef. It was in her kitchen that I first learned how to cook and first fell in love with cooking. Whether it was the aromas of onions sautéing in butter, her homemade spaghetti sauce simmering on the stove, or her addictive buttery, bacon-y twice-baked potatoes making mouths water two houses down…this lady knows her way around the kitchen! While I will still indulge on my mom’s traditional recipes, especially if she’s the one making them (no one does it like mom! 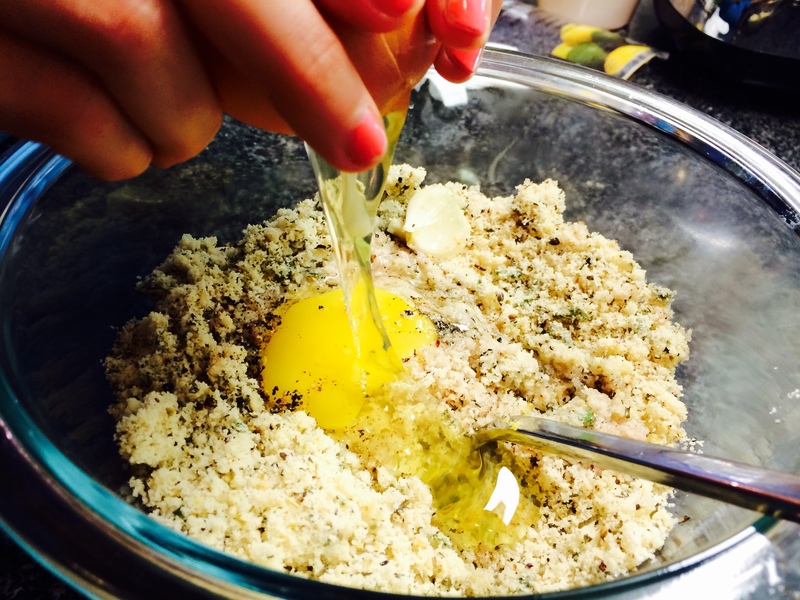 ), I have made my own versions of her dishes that lend to a more paleo lifestyle. 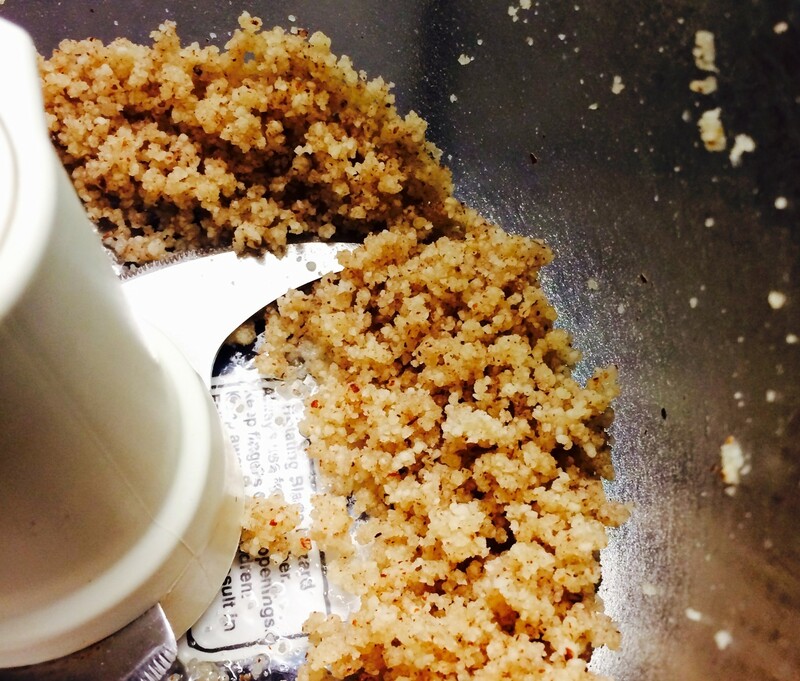 I swap out ghee for butter and get creative with cheese and bread crumb substitutes, while trying my best to keep the integrity and deliciousness of the original recipes. I think I do a pretty good job, if I may say so myself…try it out and let me know what you think! Now let’s get started! tanginess, like the parmesan cheese I miss. I added 1 tablespoon of lemon juice and that hit it right on the money. It was so good I had to I couldn’t stop “sampling it” with my fork and had to put it in a sealed container in the fridge until I was ready to use it, lest I eat it all before the meatballs even stood a chance. 1. 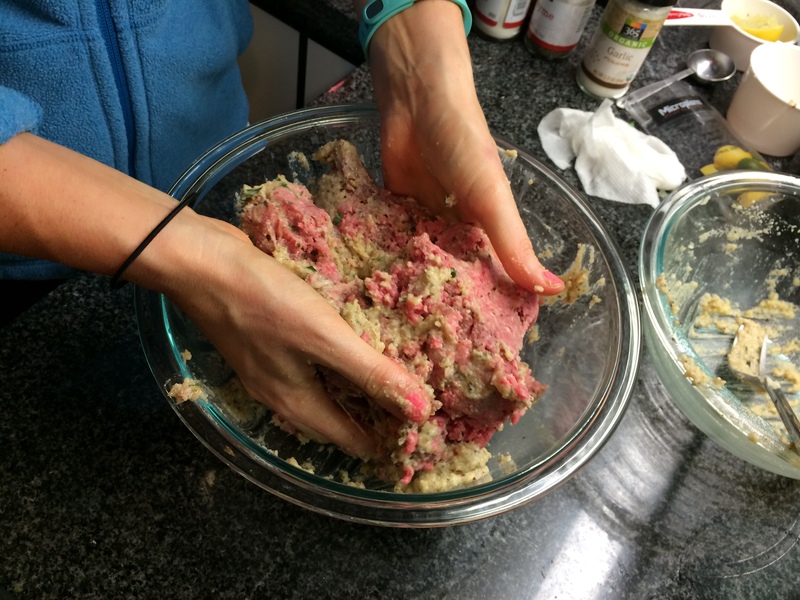 Set the meat aside and combine all other ingredients in a large mixing bowl. 2. Add the meat to the rest of the ingredients and combine well. Go on, get your hands dirty. But be careful not to overwork the meat. 3. 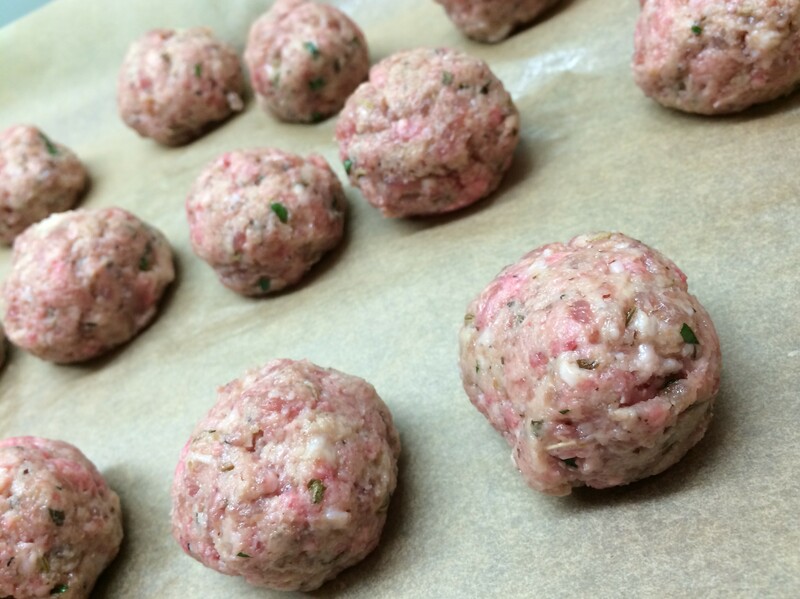 Roll meat into meatballs about 1.25-1.5 inches in diameter. 4. Melt ghee in a large skillet on medium to medium high heat. 5. 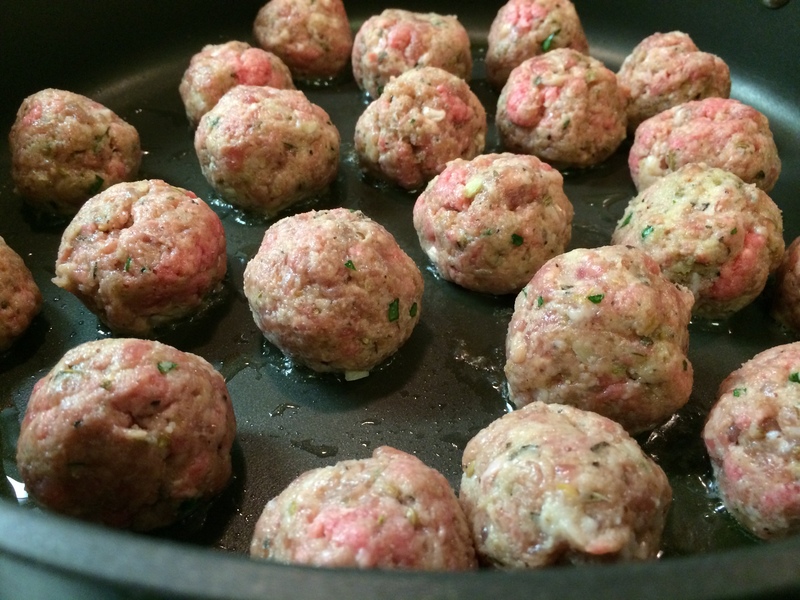 Once the pan is good and hot, add the meatballs carefully. Be careful not to overcrowd the pan. You may have to do this one in batches. 6. Turn the meat frequently, browning all sides. 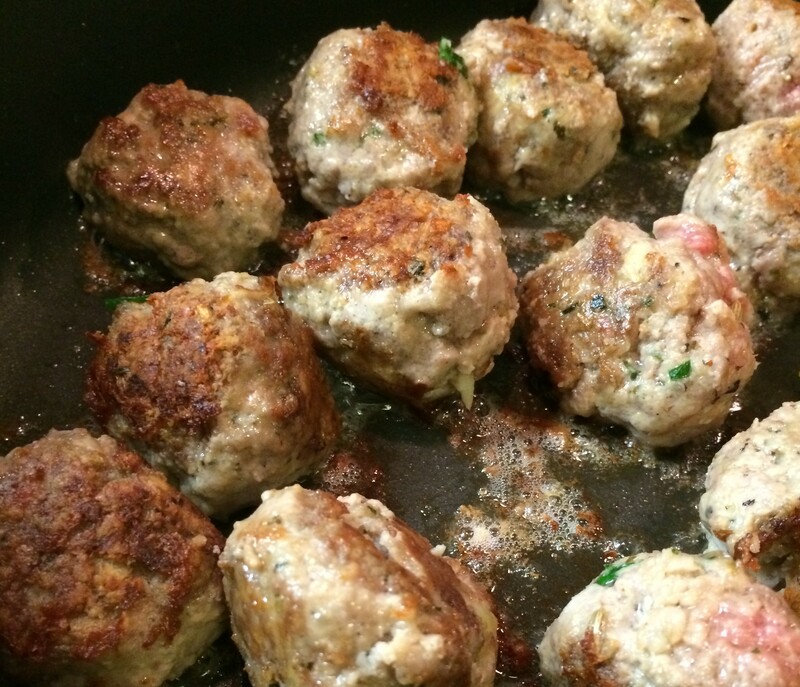 Cook them meatballs slowly, making sure they’re cooked all the way through and golden brown on the outside. 7. 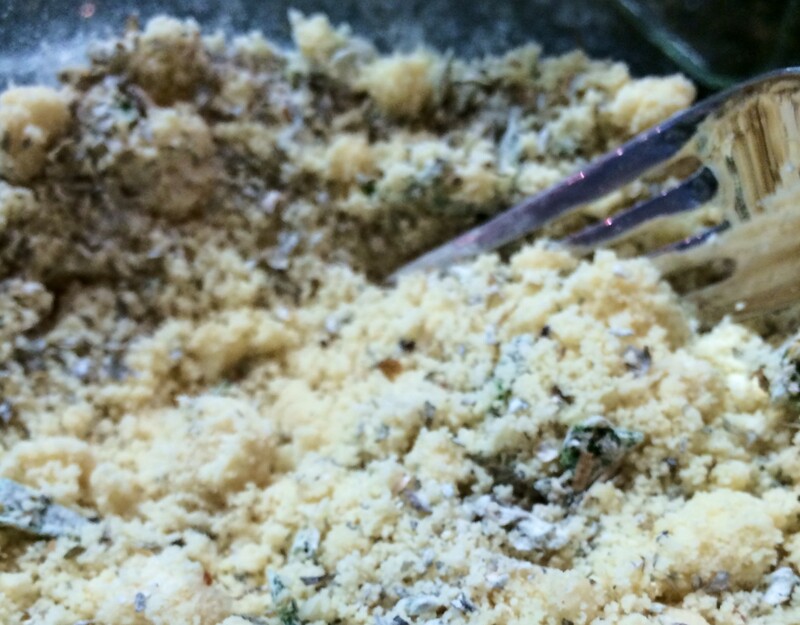 Set aside to cool and enjoy, delight, and savor in the meaty, herby, “cheesy” goodness! No really, I was a little nervous about these meatballs since my mom’s are legendary! But these turned out so flavorful and moist (yes I know people hate that word!). 2. Follow steps 1-3 above. 3. 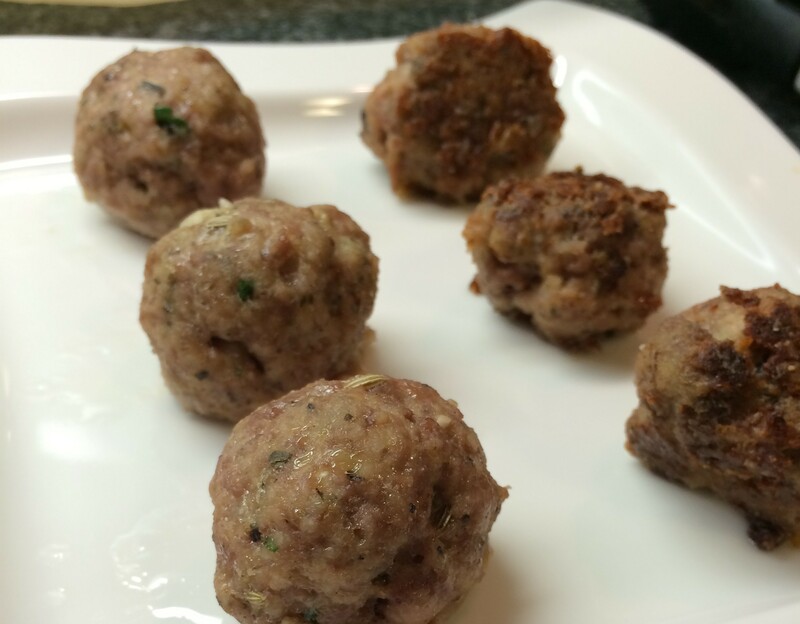 Line a baking sheet with parchment paper and place your meatballs on the parchment paper. You can make a line, you can make three lines. You can make any design you want out of your meatball baking sheet. Just try to keep them about an inch apart. 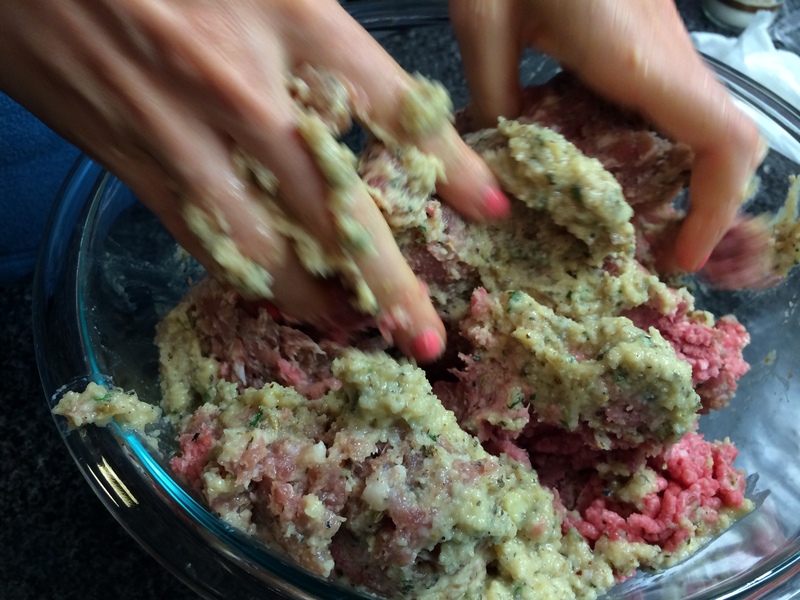 Hopefully that won’t stifle your meatball arranging creativity. 4. Bake for 10 minutes. Rotate the tray. Then bake for another 5-8 minutes. 5. 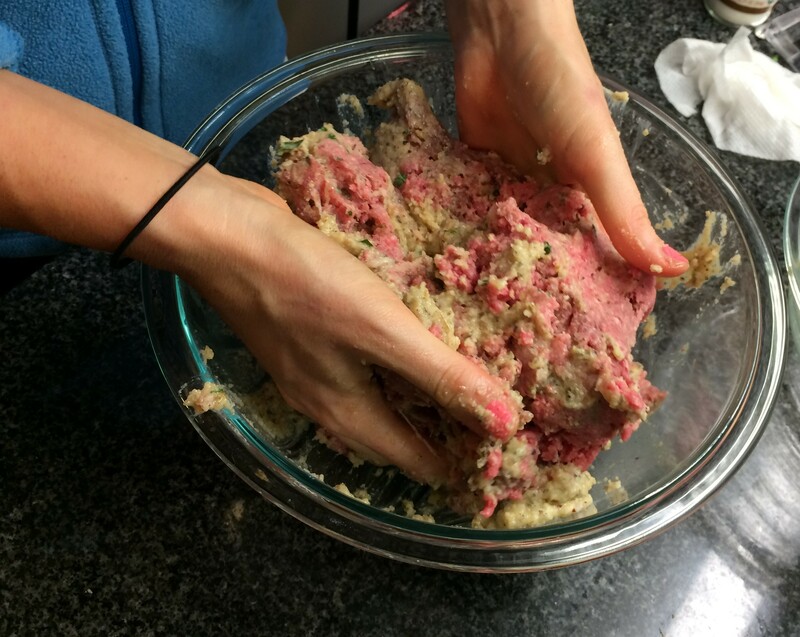 Your meatballs are finished! Yum!! Can’t wait to try them!